Michael Flynn Is Helping The Government On ‘Several’ Cases. Which Ones? The special counsel’s memo in the Michael Flynn case says that the former national security adviser is cooperating with prosecutors on “several” different investigations. The wording of that memo, which said that Flynn has provided “substantial” assistance to the government, has touched off widespread speculation about what other investigations Flynn has provided information for outside of the special counsel’s core probe into possible collusion between Trump associates and the Russian government. The memo makes clear that Flynn has provided assistance regarding the Trump transition team’s interactions with Russian government officials. Special counsel Robert Mueller recommended that Flynn receive no jail time due to his assistance to the government. He met 19 times with Mueller’s team or prosecutors in other Justice Department offices, according to the memo. But the structure of the heavily-redacted Mueller memo suggests that Flynn is helping prosecutors with at least two outside investigations, as well as other components of the Mueller probe. The specifics of that cooperation is impossible to glean from Mueller’s sentencing memo due to heavy redactions. Flynn’s attorney did not respond to a request for comment. Flynn has been linked to several questionable schemes that transpired during the campaign, the presidential transition period, and his 24-day tenure as President Donald Trump’s national security adviser. Flynn secretly consulted for the Turkish government during the campaign. He also reportedly met in 2015 with a now-deceased GOP operative who claimed to have hired hackers to find the 30,000-plus emails that former Secretary of State Hillary Clinton deleted from her private email server. In his brief stint in the White House, Flynn was the recipient of a proposal from Michael Cohen, who then served as Trump’s personal lawyer. Cohen reportedly handed Flynn a proposal related to Ukraine. Flynn’s work for the Turkish government is featured prominently in an addendum to the main Mueller memo. Of the 1,380 words in that document, 440 discuss Flynn’s false statements to the Justice Department about his Turkish lobbying. Flynn made “materially false statements in multiple documents” that he filed with the Justice Department under the Foreign Agents Registration Act (FARA), according to the memo. Flynn denied working on behalf of the Turkish government. He also claimed that he wrote an op-ed on Nov. 8, 2016, about an opponent of the Turkish government on his own accord. But Flynn was actually working at the time for Ekim Alptekin, a Turkish businessman who chaired a trade group controlled by the Turkish government. Flynn’s consulting firm, Flynn Intel Group, signed a $600,000 contract in August 2016 with an obscure shell company that Alptekin registered in the Netherlands. Flynn was not charged with false statements related to his lobbying efforts, though his false statements are disclosed in a statement of offense attached to his Dec. 1, 2017, plea agreement. That agreement stipulated that the special counsel would not prosecute Flynn for any crimes laid out in his statement of offense. The agreement did not preclude prosecution by any other U.S. attorney’s offices. 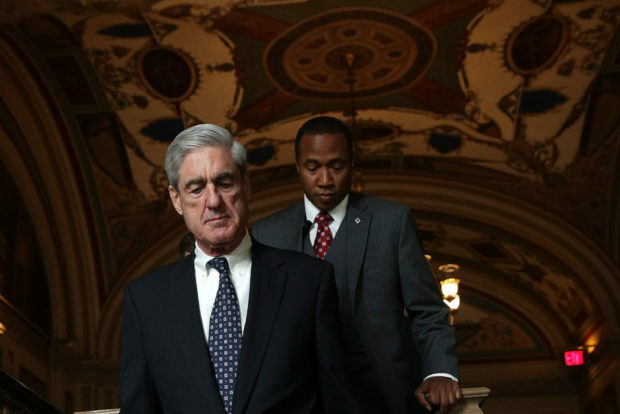 Mueller and prosecutors in other jurisdictions have showed interest in the lobbying effort. Mueller’s team reportedly interviewed Alptekin in May 2017. The New York Times reported on Aug. 4, 2017, that Mueller’s team was investigating whether Flynn made kickback payments to his former client. Flynn could also be providing assistance regarding GOP operative Peter Smith’s hunt for deleted Clinton emails. Josh Campbell, a CNN analyst and former FBI aide to James Comey, floated that theory Tuesday. Smith, who committed suicide in May 2017, put together a team of computer experts and hackers during the campaign to track down Clinton’s deleted emails. Smith reportedly claimed that Flynn was involved in the project. The pair met in 2015. There is some reason to doubt that the Smith effort is being scrutinized by Mueller and company, however. Jerome Corsi, a right-wing author who knew Smith and is a target in the Mueller probe, wrote in a new book that the prosecutors he has dealt with appeared wholly uninterested in the Smith matter. Corsi writes at one point in “Silent No More” that Smith may have told him in 2016 that he was in contact with WikiLeaks founder Julian Assange. Corsi ultimately concludes in his book that Smith may have been bluffing. Corsi and Flynn are listed on a memo that Smith circulated to associates touting his project to track down the Clinton emails. But at least two people also on that list, conservative muckraker journalist James O’Keefe and Judicial Watch president Tom Fitton, have told The Daily Caller News Foundation that they had no involvement in Smith’s project and weren’t even aware of it at the time he was looking for Clinton’s emails. Smith’s hunt for the Clinton documents appears to have gone nowhere. Clinton’s deleted emails have not been released, and he has not been linked to WikiLeaks’ release of emails stolen from the DNC and Clinton campaign chairman John Podesta. The New York Times reported on Feb. 19, 2017, that in the days before Flynn was fired on Feb. 13, 2017, Cohen passed Flynn a proposal calling for relaxing sanctions against Russia in exchange for recognizing Crimea as a Ukrainian territory. Cohen obtained the proposal during a meeting in New York City with Ukrainian politician Andrey Artemenko and Felix Sater, a business partner of Cohen’s who has worked extensively for U.S. intelligence agencies. Cohen is cooperating with the special counsel’s office and pleaded guilty on Thursday to lying to Congress about his work to build a Trump Tower in Moscow. Cohen and Sater worked together on that project, which ultimately fizzled out after Trump won the GOP nomination. It remains unclear what Flynn did with the Ukraine proposal.